A report from the WSJ on Thursday said that Treasury Secretary Steven Mnuchin had suggested ending some or all tariffs against China, lifting global stocks even after his agency stressed that trade talks were far from complete. Mr. Mnuchin said that easing the penalties would encourage China to make longer-term concessions while calming jittery markets, according to the report, which cited anonymous sources. The Treasury Department later said that officials had made no recommendations on tariffs. China’s trade czar, Liu He, is scheduled to participate in negotiations in Washington on Jan. 30. After March 1, tariffs on $200 billion in Chinese goods are set to grow to 25 percent from 10 percent. • China’s ambassador to Canada warned of “repercussions” if the Chinese telecommunications giant Huawei were blocked from Canada’s 5G network. Huawei’s chief financial officer, Meng Wanzhou, was arrested last month in Vancouver, British Columbia, and the company has also faced resistance and suspicion from Germany, the U.S. and other Western countries. • Foreign investors such as Blackstone Group spent a record $9 billion on commercial real estate in China last year. • Chinese tech companies, stressed by trade tensions, stricter policing of online content and a slowing domestic economy, cut hiring ads 20 percent in the last quarter of 2018. 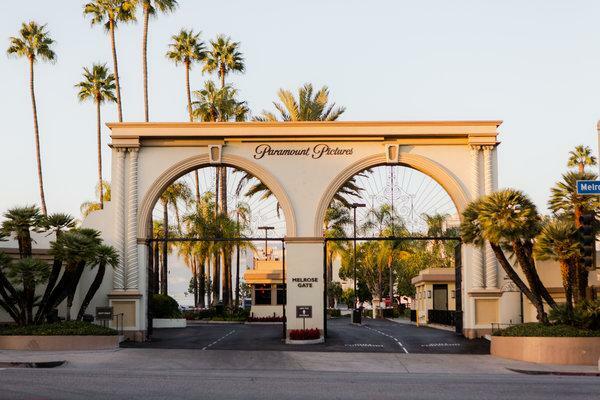 After decades of mismanagement, Paramount Pictures, the once-vaunted studio behind classic films like “The Godfather” and “Chinatown,” is fighting for its existence, write Amy Chozick and Brooks Barnes. The challenge: The studio racked up nearly $900 million in losses in the last two years. It has placed last at the domestic box office for seven years running. It shed its lucrative TV business years ago. And the Paramount lot is long overdue for improvements. The competition: The old-line film business is going to become tougher as streaming services proliferate. Netflix will pump out about 90 movies this year. Apple intends to roll out its multibillion-dollar TV and movie offering, and Facebook has become serious about its Watch video-on-demand platform. The solution: Paramount restarted television production in 2013 and now has nine series running, including “Jack Ryan” on Amazon Prime. It hired one of Hollywood’s top producers, Wyck Godfrey, as president of the film division. And it hopes to make 17 movies in 2020, with a focus on big budgets and global audiences. On the 28th day of the government shutdown, Washington feels like “an unruly sandbox,” where “septuagenarian politicians are squabbling like 7-year-olds,” writes Mark Landler. Speaker Nancy Pelosi, who had pressed President Trump to postpone his State of the Union address, received his sarcasm-laced response on Thursday. President Trump also canceled a U.S. delegation set to attend the World Economic Forum in Davos, Switzerland. But Melania Trump, the first lady, kept her plans to fly on a military jet to the family’s Mar-a-Lago compound in Florida. The stalemate over Homeland Security spending has grown increasingly bitter. Democrats suggested they would introduce their own proposals for protecting the country’s borders. Meanwhile, tens of thousands of federal employees have sought unemployment benefits, with more filing claims every week. Pacific Gas and Electric promised that its customers’ lights would stay on if it followed through on plans to file for bankruptcy this month. But a filing could be wrenching for power producers, especially those in renewable resources, write Ivan Penn and Peter Eavis. PG&E said that it would use bankruptcy protection to resolve huge liabilities arising from deadly wildfires in California. Such a move would allow it to walk away from older contracts with suppliers, particularly those with developers of renewable energy that were negotiated when solar panel prices were higher. Credit Suisse analysts estimate that PG&E could save $2.2 billion a year by renegotiating renewable power contracts down to current market prices. More news: The prospective bankruptcy has exposed the risks of green-power investments: If the utility can renegotiate high-cost contracts, other companies will do the same. Fitch Ratings said the planned bankruptcy would not damage California’s credit rating. Rihanna: pop star, actress, entrepreneur … luxury fashion brand? She was named fashion icon of the year by the Council of Fashion Designers of America in 2014. She became Dior’s first black brand ambassador in 2015. Her Fenty Beauty cosmetics line is intensely popular; her Fenty x Savage lingerie collection debuted to great acclaim at New York Fashion Week. It looks like Moët Hennessy Louis Vuitton LVMH, the parent company of Dior, Givenchy and Fendi, could do worse than partnering with Robyn Rihanna Fenty. The luxury conglomerate is working on a deal that would make Rihanna its first female designer of color. The partnership would build a brand from scratch in a way the company hasn’t tried since starting the Christian Lacroix label in 1987, according to anonymous sources. Wall Street is nervous about luxury spending, however, as stock market declines in recent months could compel consumers to scale back purchases, according to an analysis from Goldman Sachs. Next PostNext in her words: Women’s March 2019: Having Trouble Keeping Up? Here’s What to Know.